The original "all-in-one" instruments that changed the face of the industry. 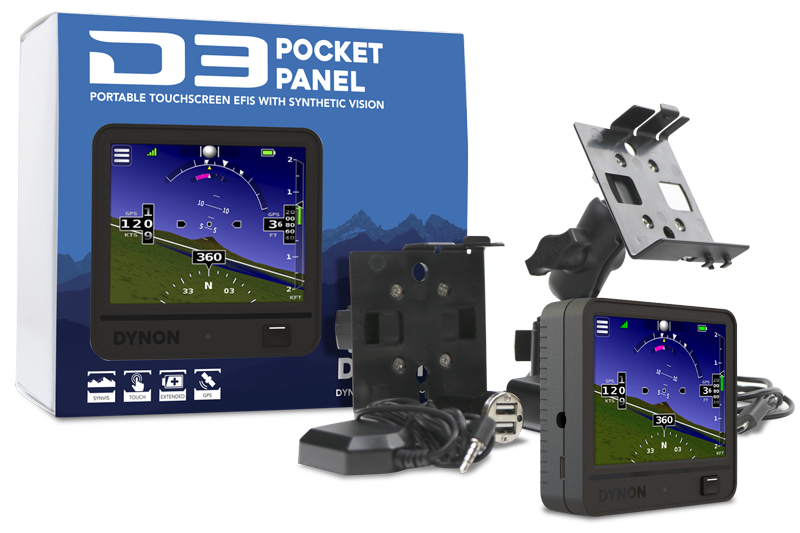 Meet the D3 - the newest edition of Dynon’s popular Pocket Panel. 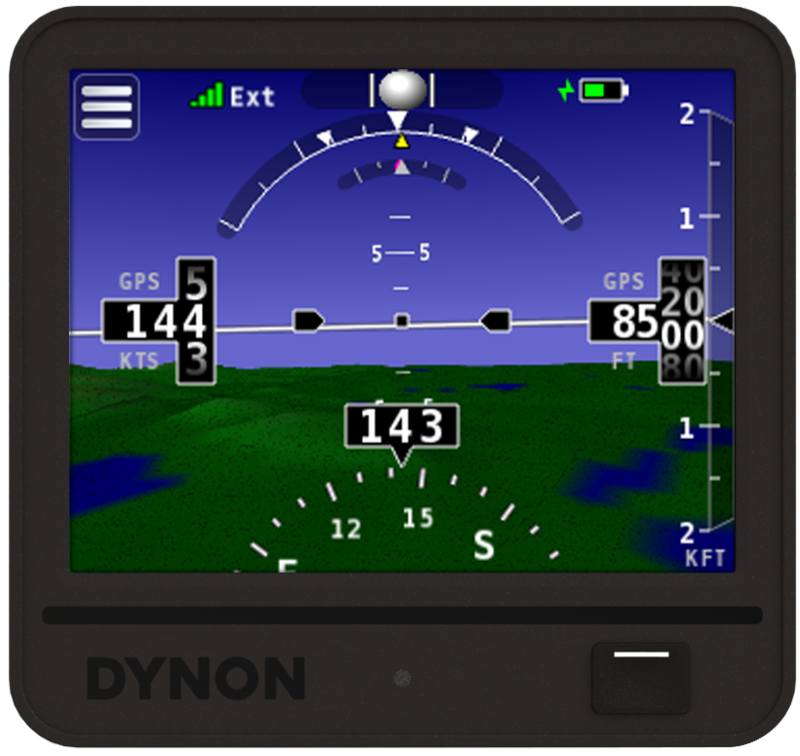 Now featuring Synthetic Vision, the D3 Dynon Pocket Panel lets pilots supplement their often unreliable legacy instrumentation with an affordable, portable electronic attitude indicator. Both of the included cockpit mounting options require no tools, allowing the D3 to be deployed in any aircraft without regulatory approval. The D3 comes with two portable mounting options, no tools required. Because it does not require modification to the aircraft's design, no regulatory approval is required to use a D3 Pocket Panel in any aircraft. 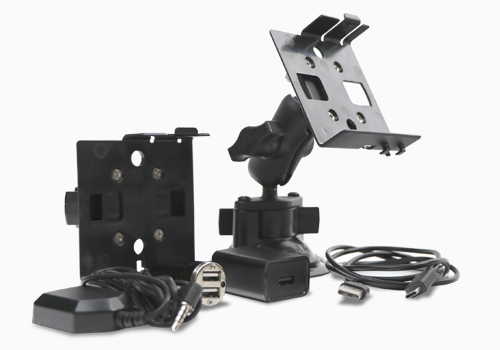 The first mount included is a RAM® suction cup mount. The second is a 3-1/8" portable "pinch" mount that allows the D3 to be easily mounted in an empty existing instrument panel hole without any fasteners. The D3 features the same reliable, proven AHRS engine from Dynon’s best-selling panel-mounted products for experimental, light sport, and type certificated aircraft. The D3 is controlled through a touchscreen interface. Touch the menu icon in the upper left corner of the screen to access most controls and settings. Swipe left and right on the main scr een to choose between various displays. 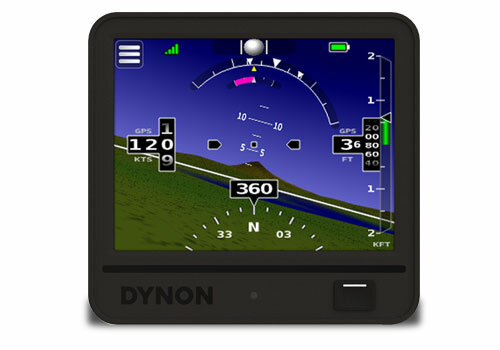 The D3 uses the Dynon's proven MEMS-based attitude sensors. 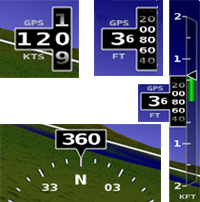 Accurate pitch and roll: A true artificial horizon. Truly pocket sized, approx. 3.5" x 3.25" x 1"
Purchase a D3 Pocket Panel through an authorized dealer. Below you'll find links to support pages and downloads.